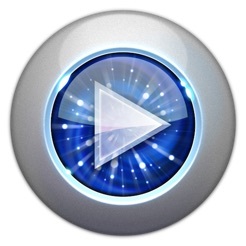 • Play almost any format of file or stream. • Multi-touch. Control the player with your fingers. 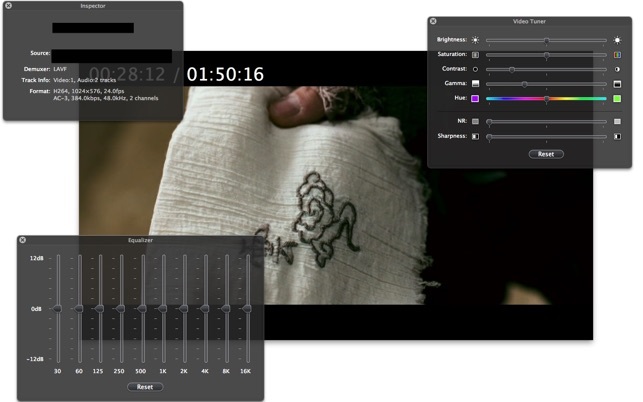 • Intelligently detecting the encoding of the subtitles. No need for encoding conversion. • Direct pass through. Connect, play, enjoy your home theater. • Multi-monitor support. Wanna work while watching your collection? just drag and F.
• Apple Remote support. Watch your favorites in sofa, more comfortable. • Automatically find the next episode. Enjoy the whole afternoon, with just one click. • Forget where you stopped playing last time? MPlayerX won't. 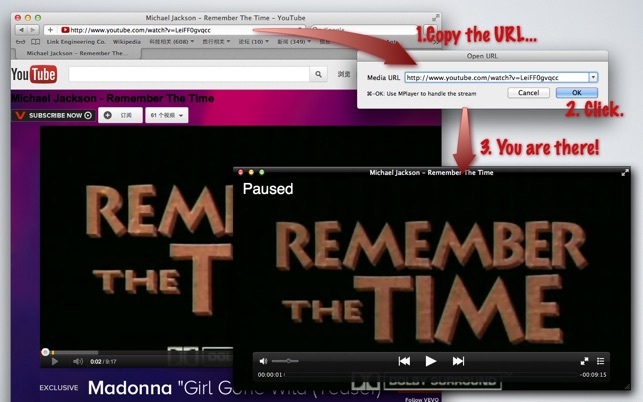 New: Compatibility with youtube.com. follow the snapshot below. 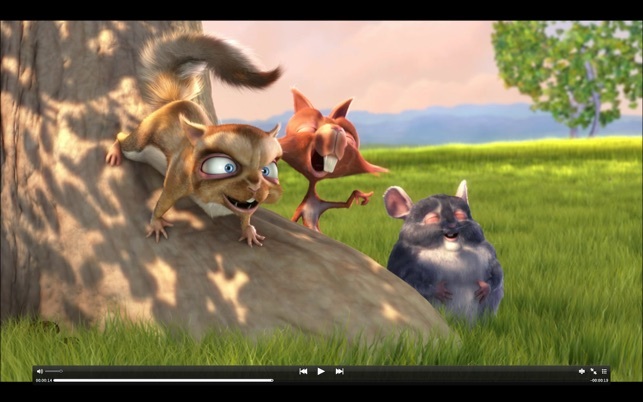 This is the best OS X incarnation of the popular 'mplayer' open source project (MPlayer OSX Extended is decent too, but the UI isn't quite as polished as this one). It plays almost anything you throw at it, though it has odd issues with certain codecs. In particular, there's an ongoing problem with audio and video falling out of sync in certain MPEG4 (.mp4 / .m4v) files. It doesn't seem to be an issue with videos made with official, licensed MPEG4 codecs, but a lot of people encode videos with freeware/open source codecs (such as x264, an open source version of H.264), and that seems to be when A/V sync issues and other problems can occur. Mplayer isn't quite as robust as VLC at handling problematic video files, such as A/V sync issues as I just described, or files with a missing or broken index (in which case it may be impossible to seek forward/backward or manually jump to a specific position in the video, or in some cases the video won't play at all). But I recommend trying this app first, and fall back on VLC when this one doesn't work. Not a fan of the current icon though. I don't think it's ugly, per se, but it's a pretty obvious rip off of the DaisyDisk icon (it's in the App Store; search for it and you'll see), and it doesn't really make sense for this type of app (it's fitting for DaisyDisk, since it has a circular graph that's similar to the ones you see in the actual app, and it also displays a progress wheel when it's scanning). Nonetheless, this is a solid media player, and you can't beat the price. Can't imagine why anyone would even need to read a review first. A piece of crap. The app crushes every time.